FACE of math is the math version of CAFE. 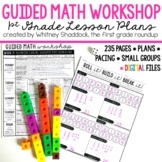 It's filled with strategies to help your students accurately solve math problems. These strategies could be taught during small/whole group instruction. The illustrations and bright colors make it more appealing to students. 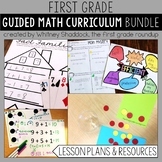 BASIC MATH FACTS: This is a fun hands on activity using two-sided counters. Students will have fun shaking and spilling counters and coloring a worksheet to match the counters spilled. They will then write the fact family that matches the picture. This preview has been created to give you a look at how material in the book is laid out, how answers are given in Appendix A & B, and the quality of material. 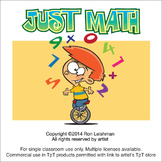 These math pages are great for back to school. Help Chester and The Cat with their back to school items. 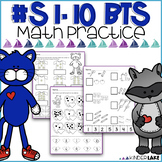 There are 5 pages of friendly faces and math fun! I also have color by shape pages in my store to go along!